S&W can handle all of your custom embroidery needs. Our talented staff will make your design or logo come to life, with close attention to detail. 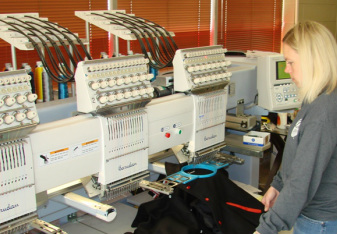 We provide start to finish solutions, from art concept and design to final garment production. You can rest assured that your order is fulfilled by our customer-focused staff with quality and budget in mind.